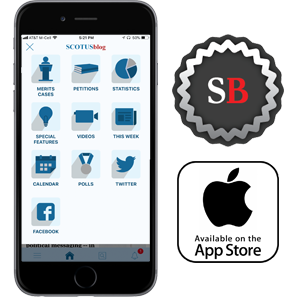 SCOTUSblog is devoted to covering the U.S. Supreme Court comprehensively, without bias and according to the highest journalistic and legal ethical standards. The blog is provided as a public service. Tom Goldstein and Amy Howe, husband and wife, founded the blog in 2002. Reporter Lyle Denniston, who retired from the blog in 2016 after 58 years of covering the court, signed on a few years later. Other permanent and part-time staff members have joined over time. 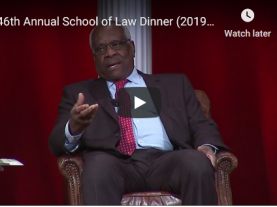 Significant contributions have come from other lawyers at Tom’s law firm (where Amy was formerly a partner), as well as their students at Stanford and Harvard Law Schools. Now during the course of any given year, up to 100 people work on or write for the blog. The blog generally reports on every merits case before the court at least three times: before argument, after argument and after the decision. The blog notes all of the non-pauper cert petitions that raise a legal question which in our view may interest the justices; we give additional coverage to particularly significant petitions. For the merits cases and the petitions we cover, we provide access to all the briefs. Many of the blog’s posts go beyond coverage of individual cases. Each business day, we provide a roundup of what has been written about the court. We regularly publish broader analytical pieces. The blog carries significant coverage and analysis of nominations to the court. In addition, various special projects, such as our symposium on “The Court after Scalia,” may span several weeks. Significant books related to the court are the subject of our “Ask the author” series. A calendar lists dates for activity at the court and programs relating to it. We also regularly publish statistics relating to the court’s term. All of the material we collect and publish is easily accessible on the blog. You may also find helpful this post on our vision for the current version of the blog. If your work is featured on SCOTUSblog, please let us know if we have accidentally failed to credit you. We will correct the error immediately.